West Virginia Gov. 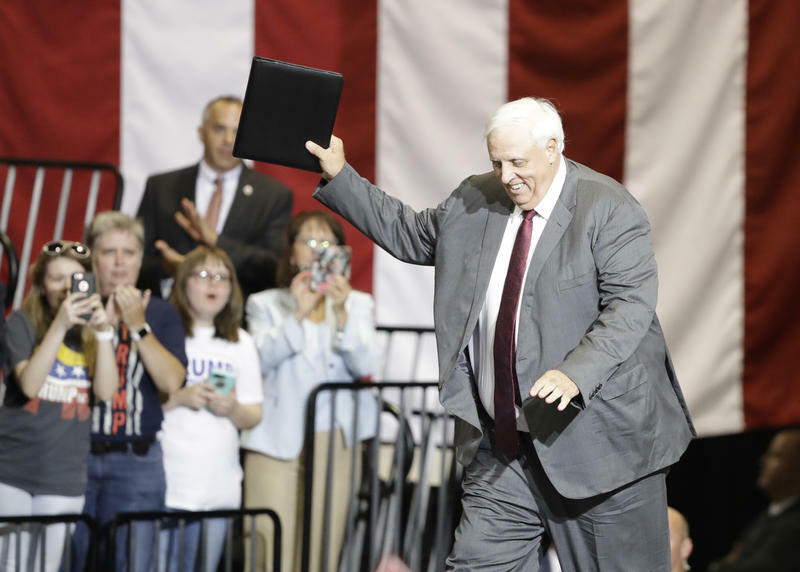 Jim Justice walks to the podium during a rally for President Donald Trump Thursday, Aug. 3, 2017, in Huntington, W.Va.
"Many of his agenda items have been smaller government, lower taxes, lower regulations, and so we're pleased that he's seen fit to join the party," Republican Senate President Mitch Carmichael said before the announcement Thursday. Carmichael and Justice found common ground during the legislative session on reforming the state’s tax code. Both pushed to drastically cut West Virginia’s personal income tax to incite economic growth, but that was after Justice pushed a plan to increase taxes and create $450 million in new state revenue. Republican House Speaker Tim Armstead said Thursday the governor's previous proposals are at least one reason Justice will have to prove he truly has conservative values. Armstead and members of his caucus refused to compromise with Justice and Senate Republicans on tax reform initiatives during the state's extensive special session. While the Speaker said he welcomes the governor to the party and looks forward to working with him, he also said it will take a shift in Justice's leadership style to get his members on board. The move has massive implications for the West Virginia Democratic Party which has slowly been losing control of state and national offices over the past decade. Former Democratic Senate President and gubernatorial candidate Jeff Kessler laid the blame of current hardships at the feet of the current party chair, Belinda Biafore. Standing by Justice’s side as he made the announcement in Huntington, Pres.Trump welcomed the flip. The two have been compared in the past—both self-styled conservative businessmen who appeal to the working class, but the parallels between them were only intensified with the party change. Both Republicans hold executive branch offices with legislative majorities and conservative-leaning courts, but both will continue to face challenges from factions within their own party as they work toward accomplishing their policy priorities.